The Foundation – Take 2!! Update: This restaurant has closed. This would be my second time to Foundation. 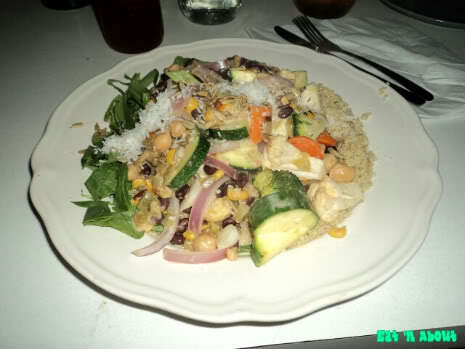 My first time at The Foundation was very favorable so I organized another dinner there. This time with more people so we can order more food! And it was definitely a plus. 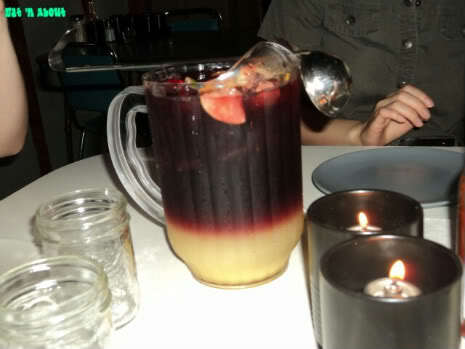 With more people we were able to order a pitcher of Sangria to share. It was around $17-18. It was pretty good, as it was sweet enough for me and there were quite a bit of fresh fruits in it. We downed it pretty quick and ordered another one. 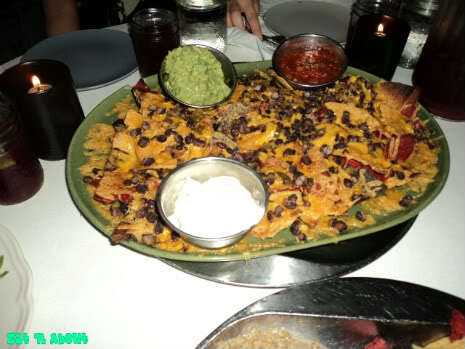 We can’t go to Foundation without ordering their famous utopian nachos. We ordered the large ($15) with guacamole for $3 more. As usual it was pure “utopia”. They have a way of making it so that every chip seems to have some stuff on it. And it was massive too. Just don’t look at the pool of oil on the bottom. Although everything was scrumptious, my favorite of the bunch was definitely the molton tofu. It was sweetish and savory at the same time. 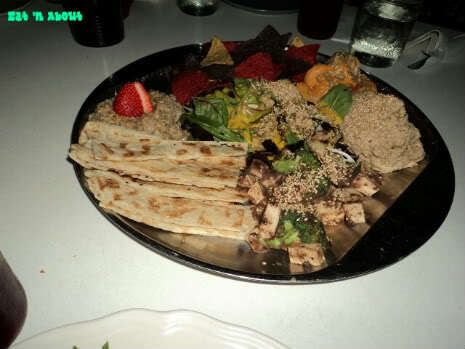 But like I said, the whole platter was a big hit. I felt like having some quinoa so I made my friends share the rogue grain (army of veg in coco-chili-lime sauce, served on quinoa and spinach, $11) with me. This was ok. It was kind of dry despite all the veggies. I wished there was more sauce. There was definitely a kick of spiciness to this dish though. However as I’m not really a big fan of whole chick peas (hummus is another story….) and this dish had quite a bit of it, I didn’t really like it. I think next time I’m going back to the sesame society. On a side note though, this made an absolutely delicious second/third day lunch when it had time to sit in the fridge haha. All in all another great dinner at Foundation. This is one place I will definitely go back to again and again. Previous PostNew at McDonald’s! Plus a Giveaway!! Next PostWinners!! Here are the winners!!!! I’ll have to make my way out there to try this place – I’m from the tricites, so I never even knew it existed!